Older Australians are divorcing more than ever before, with many struggling to get back on their feet financially after a split. 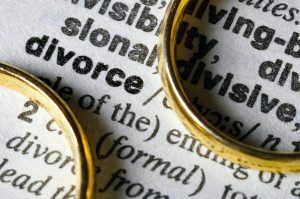 Grey divorce rates in particular are soaring, with big jumps in the number of men and women divorcing aged 50 and above. Apart from coming to terms with the emotional pain, one of the biggest problems for older people after a divorce is figuring out how to rebuild their finances. With the bulk of working years behind them and limited assets after the expensive child rearing years, it can be difficult to recover their married standard of living. We have a number of friends in this situation so here are our observations on how to handle marital problems when you’re over 50, and where to turn if things are really going pear shaped. WHY DOES GREY DIVORCE HAPPEN? Your 50s is a decade of massive change. Kids leave the nest, work slows down and the body gently reminds you to take things a bit easier. Some empty nesters, after the distractions of raising kids stops, realise that with so much else going on, their relationship has been left behind. But before calling quits on any serious relationship, it’s in your financial and emotional interest to try to work it out with your partner first. Lorraine Murphy, director of clinical services at Relationships Australia, says that it’s important for both partners to come together to focus on making things work. If there hasn’t been a serious indiscretion to cause the relationship to fail and you’ve simply grown apart, then you could try counselling, being more open with each other or just spending more time together. In your 50s, there’s a good chance you’ve spent some of the best years (or decades) of your life with each other and done some amazing things, so why not give it another shot? If things have gone seriously downhill and the relationship can’t be salvaged, then be smart about how you handle the settlement. Women have to be especially careful. The average Australian woman will live five years longer than a man but has a superannuation balance that’s 43 per cent lower. So dividing the family assets fairly in a split is important to maintaining quality of life. Some women may not have a complete picture of the family finances, particularly if they’ve left the workforce to focus on raising children. Make sure you are fully informed about all aspects of your financial relationship – bank accounts, investments and insurance. Know where all the important documents are kept. When the decision to split is made, protect your access to joint bank accounts, cancel joint credit cards and set up your own, change passwords and generally be on guard about any funds that may “walk”. One of the most important considerations will be what to do with the family home and any investment properties. While it may seem like a great idea for one partner to keep the house, consider the ongoing maintenance fees and the fact it ties up money in an illiquid asset. For a couple that is asset rich but cash poor, a good option can be to sell the house and split the proceeds. Lastly, while your split may be amicable, it’s always wise to secure copies of all financial documentation and engage the services of a lawyer to organise the settlement. Murphy recommends visiting your local Family Relationship Centre for information and confidential assistance. Otherwise, in the event things do get ugly, the Family Court may have to resolve the situation. Once the divorce has been finalised and you’re out on your own, it’s more important than ever to be smart about finances. With one income and set of assets, you’ll need to put together a plan about how you’ll make things work and achieve your desired quality of life. It’s a good idea to seek financial advice to ensure you’re on the right track. And finally, don’t forget about estate planning. Update the will to reflect your new situation.